Start assembling your individual 8029HEPTA Industry right now @ our 8029HEPTA-Industry-configurator! TIP: To achieve the best performance of the 8029HEPTA-configurator, please activate the macros after opening the file. This file was checked regarding macro security and is free of any viruses! Start assembling your individual 8029HEPTA DataCenter right now @ our 8029HEPTA-DataCenter-configurator! different signal outputs are combined in ONE application - based on your specific requirements! How does it work? Let us know your specific requirements via info@hopf.com. Our sales team will be glad to send you an individual offer! 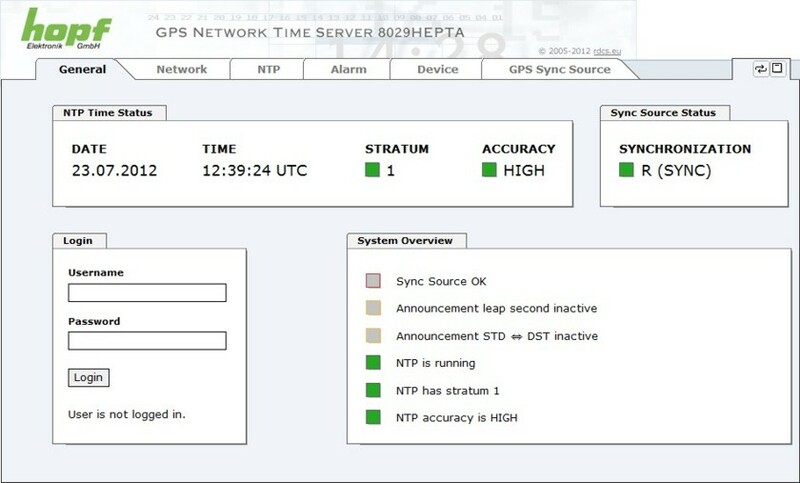 Did you know that you have online access to a demo version of our NTP time server 8029HEPTA?! Individuality by flexibility – and the price is unbeatable! 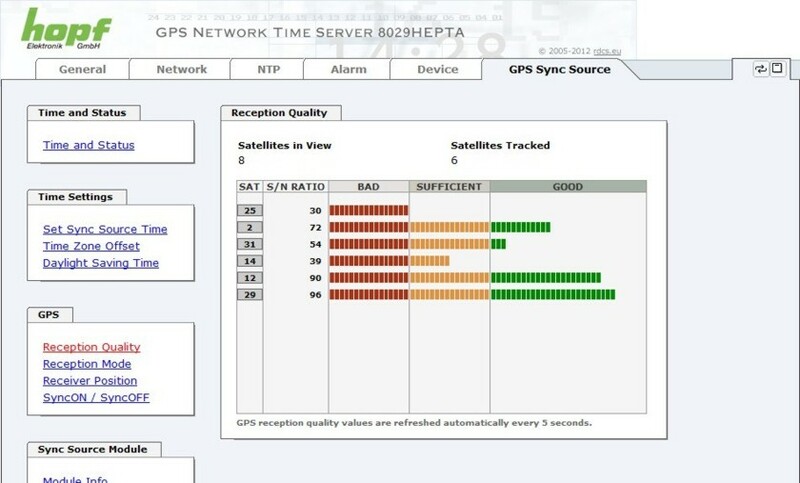 By GPS time synchronization and the worldwide used time protocol NTP the time server 8029HEPTA (Industry/DataCenter) turns into a highly accurate NTP Stratum 1 time server.